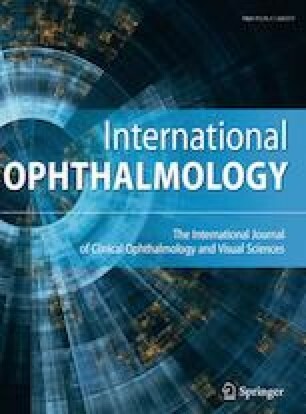 The aim of the study was to examine the outcomes of transepithelial photorefractive keratectomy (Trans-PRK) and Femtosecond Laser-assisted in situ keratomileusis (Z-LASIK) for the correction of high myopia. A retrospective cohort study design was used. The study group included 792 eyes with high-grade myopia (− 6.0 diopters or higher) or high-grade myopia with astigmatism that were treated with Z-LASIK or Trans-PRK in 2013 through 2014 in an optical outpatient clinic of a large private medical service. The Trans-PRK group comprised of 674 eyes with a spherical equivalent (SE) of − 7.87 ± 1.46 and the Z-LASIK group comprised of 118 eyes with a SE of − 7.19 ± 0.81 (P < 0.001). The mean postoperative SE in the Trans-PRK group was − 0.06 and − 0.02 in the Z-LASIK group (P = 0.545). Efficacy index values were 0.92 in the Trans-PRK group and 0.95 in the Z-LASIK group (P = 0.083), and corresponding safety index values were 0.95 and 0.97 (P = 0.056). An UCVA of 20/40 or better was achieved in 94.20% of eyes in the Trans-PRK group, and 98.31% in the Z-LASIK group (P = 0.063). The majority of eyes in both the Trans-PRK and Z-LASIK groups were within ± 0.5D of attempted correction: 59.35 and 64.71%, respectively (P = 0.271). Both Trans-PRK and Z-LASIK demonstrated excellent efficacy, safety and predictability profiles, with results comparable and in some cases superior to the current literature. Results of Z-LASIK were slightly better than those of Trans-PRK, though the preoperative SE of the latter was higher.